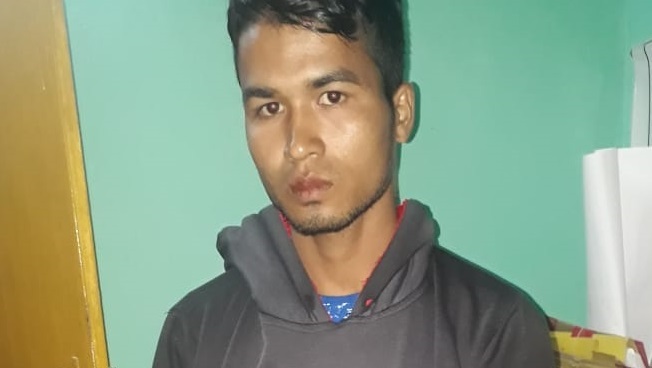 Cachar Police arrested a youth and seized a huge cache of explosives from a house in Lakhipur sub-division situated around 30 kilometres from its district headquarters, Silchar in Assam, in the wee hours of Wednesday. Sources said a team of police, based on a tip-off, carried out an operation at the house of one Lalhuoilien Hmar, aged around 22 years, late Wednesday night. Explosives, including 34 gelatin sticks and 24 detonators were recovered. Lalhouilien Hmar was arrested and is being interrogated for further details, informed police sources. Police sources suspected that Lalhouilien might be linked with some militant outfit operating in and around Jiribam, a district of Manipur, bordering this sub-division. Lakhipur, one of the crime-hit constituencies in south Assam, has witnessed a number of militant activities and police-militant clashes in the past few years. Few outfits are believed to be active and crimes like dacoity, theft and extortion are very frequent in and around this region.